This is my second trip to this city and both times several people 'warned' me of rampant crime in the cities of South Africa. They have warned me not walk out alone or carry valuables and always 'lock' the car door while driving around. Last year was incident free, though I roamed around with the family a lot. But this year, it was different.. I got the taste of one such crime today. Thankfully it was a petty crime and nobody got hurt. Here is that story.. I am staying with 3 fellow runnes from Pune in a Hotel across from the Beach aptly name Beach Hotel. We decided to go for an easy run in the morning and take the rest of the day easy before the big day tomorrow. Dnyanesh, who finished Mumbai marathon under 4 hours and first Comrades, led us through a good warmup and stretching session. After that we went south for a easy run along the beach meeting and greeting several runners. Ran past several runners including Amit & Neepa Sheth at one point. Most of the runners had Comrades color. After the run, we sat down enjoying the cool breeze and friendly chat. I wanted to stay a little longer and 'do more' yoga and stretching after the Pune runners left. I continued my asanas and got talking to some more runners who were stretching nearby. A young boy silently came and sat next to me. I initially thought he was just curious about my 'strange' postures, so continued my chat with the runners and my asanas. But, the young lad quietly took my camera which was just a feet away from me and started to slip away. I immediately knew something was amiss and noticed the boy walking away. Frozen for a moment, I recouped and shouted at him to stop, but did not. The runners with whom I was talking realized what had happened started to chase him. By then the he started running but not before he had silently dropped my camera about 100 meters away. But there were simply too many people for him to give a slip and quickly caught. Someone brought the camera to me and encouraged me to go up and 'beat up' the boy a little bit so that he wouldn't dare to repeat the 'trick' again. I went up the stairs to see that boys hands tied and a lady cop standing next to him. She spoke in good English and asked me if I got all my valuables, which I answered in affirmative. I requested the cop to let the boy go but she along with her associates took him to a nearby police outpost. I was little shaken by the whole incident but what troubled me more was the 'street justice' mood prevailing amongst the crowd. I sincerely hope that boy doesn't get that kind of 'justice' inside the four walls of the police station. 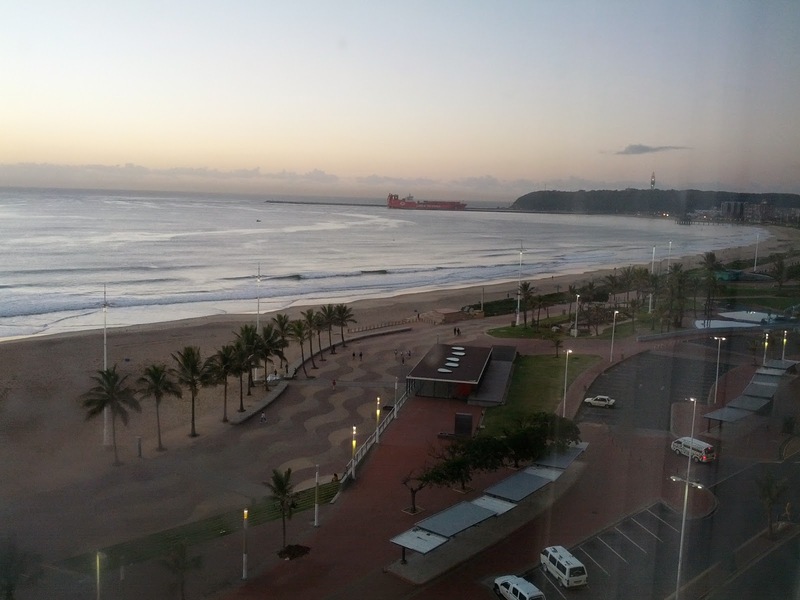 This is must see Beach in Durban and attracts lot of tourists (and petty thieves). One incident cannot be used to generalize, but this has definitely 'dented' my nonchalant attitude a little bit. ps: All parties involved in this incident other than me were black. The boy who tried to rob my camera, the runners with whom I was chatting, All the people who helped catch the boy, the cop who took charge the incident.. were all blacks.